Every day, each of us makes many decisions on how we spend our time and money. Some of these decisions require careful consideration and can take weeks or months, while others happen almost unconsciously, based on a feeling of comfort, expectations and trust. All organizations, regardless of mission are in the business of attracting consumers to their brand and hoping that over time these people will have increasing loyalty and investment. That investment can be through a purchase or one’s actions. They are our members or stakeholders, channel partners, franchisees, or even people within our organization. The question is; how can we influence potential customers, so making a choice to invest in us is an intuitive and easy decision? I pose this question with a specific challenge in mind. My company helps clients provide, and in many cases monetize, online education through a learning management system (LMS). Our client organizations dedicate a significant amount of resources in their learning platforms and development of content, banking on the notion that if we build it they will come… and spend money. However, while knowledge cuts to the core of what attracts people to these organizations; expectations for participation are often not met. We find that some are having success while others are more challenged. When you look more closely at the reasons for this, you find that participation in one’s education offering has more to do with organization strategy than a learning strategy. Over the past several years, we are witnessing a movement towards open, transparent dialogue and sharing of ideas through social media and other means. This represents a profound shift for groups in their quest to build a following. It moves them from creating and directing to facilitating and empowering. A tangible way we see this happening is through significant growth of private online communities where conversations occur under the identity of a sponsoring organization. An online community changes the paradigm and invites dialogue. It also provides an on-boarding strategy to welcome new participants and break down social barriers which often lead to greater participation. As private online communities have evolved, these platforms have been created as separate and distinct areas within an organization’s Web presence. An organization’s LMS is typically in a different area therefore creating two, unique silos for community engagement and learning. 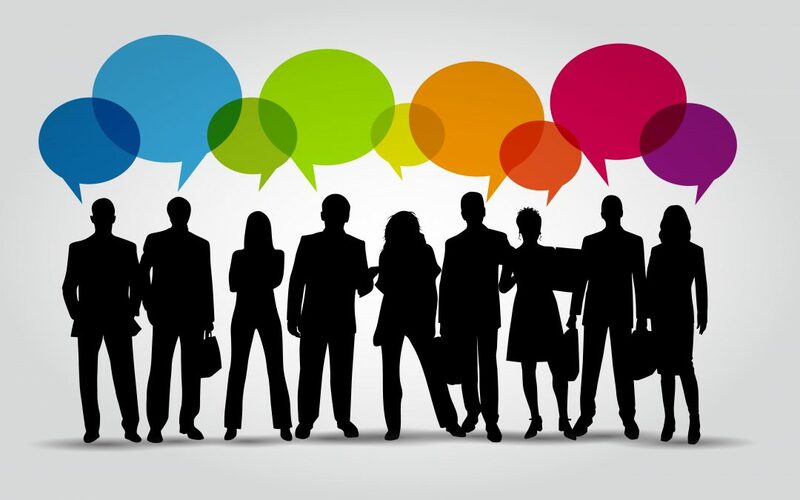 Idea sharing happens in one area, while people enrolling and connecting through webinars, courses, listening to Podcasts or collaborating in a workshop happen somewhere else. This separate existence can cause fragmentation and a slowdown of momentum. Just like in other parts of society, social, community and learning go together. Participation in learning calls for an investment. People will resist that structure if they are not comfortable. Community cultivates comfort to make these decisions more intuitive. If our participants are already invested in a destination where they participate and share strategies and ideas about real life experiences, why would we disconnect them from where they go and move them somewhere else to start over? In a sense, this is what we do when we create a partition between private communities and our Learning Platforms. In contrast to this, a more effective approach is when the LMS is a component to a community building on the existing relationships and patterns of engagement? Over the past year, CommPartners and Higher Logic have collaborated about bringing together our two platforms to support the ideas shared in this post. Our initial efforts have been directed to create the HL Learn Online Academy where online training is embedded within the HUG Community and leverages the relationships that are supported through this outstanding resource. We believe this is the ideal way to showcase the many benefits that occur when learning is a component of community. You know what’s almost as delicious as Thanksgiving dinner? Designing an LMS. Ok wait, that metaphor doesn’t really work. How about this, planning a Thanksgiving dinner may provide some insights in developing an engaging, impactful, and delicious…ok, maybe not delicious…learning management system. 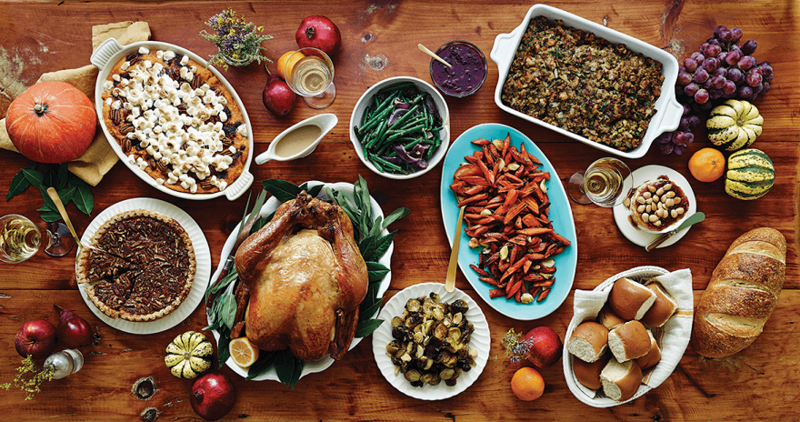 The presentation of the Thanksgiving dinner typically includes many different dishes, colors and textures. Yes the turkey is a centerpiece, however when you view the buffet or dinner table it becomes a component of a what is typically a large display of the ridiculously generous spread of appetizers, side dishes and desserts that accompany said turkey that gives Thanksgiving its truly festive feel. In fact many people will say they enjoy the side items the most. In designing an LMS, consider that the items you have put the most effort into, courses, webinars, conferences, etc., represent the turkey. They’re some of the LMS’s major selling points, and you wouldn’t have the LMS without them. However similar to the side items and desserts at our Thanksgiving dinner, LMS’s can be created to provide a blend of different experiences that “make the meal.” These might be in the form of blogs, Podcasts, peer to peer learning, polls, and resource libraries. This blend makes our LMS feel less like a stagnant website and more like a real learning community, where there is always something interesting and current to participate in. So, after this year’s Thanksgiving meal, whether you’re satisfied or uncomfortably full, think about what “side dishes” you could add to your LMS to make the user experience more fulfilling and engaging. “Social learning” is quite the buzzword today, isn’t it? With access to information on literally any topic, and the immediate thoughts and reactions of our friends, family, influencers, and favorite strangers all contained in a device we carry around in our back pocket – it’s a wonder we even need books anymore. (kidding of course, I’m still in the book fan club, (v. e-reader), but that’s for a different piece). By its name, social learning may seem less important than instructional learning. The word social leads many to think “socialize,” which seems something best saved for Friday happy hour and not business. However, today’s online learning systems and social portals, like Higher Logic’s Connected Communities, are turning this whole notion on its head. Certainly seeking insight from experts and thought leaders is important, particularly when one is looking to grow his or her knowledge base or understanding around a particular topic. However, in today’s dynamic economy, more and more it’s not what you know or do, but how you do it that can have the most substantial impact on organizational success. And this is an area where social learning can really shine. For those of us who are not in the cognitive sciences field, it may interest you to know that social learning is a social science theory (and not just an excuse to waste a half-hour on Twitter). Social Learning Theory proposes that learning is a cognitive process that takes place in a social context, it is based upon observation and the information extracted from these observations, in particular, observing behaviors and the consequences of those behaviors. In the business world, social learning is involved in the development of best practices and new initiatives, innovations or methods. Here, successful plans come to life after looking at what others have done, or are doing, and evaluating the consequences of those schemes – they are rarely, if ever, created in a vacuum. In the world of online learning – which, overall, is mostly populated with instructional learning – adding methods for social learning can add a significant perk for your users by providing a way to embed the facts and figures from instructional learning into the real world. At CommPartners, we are specifically seeking to meld instructional and social learning through a collaborative with Higher Logic’s Connected Communities. CommPartners’ LMS Platform, Elevate, now allows administrators to create RSS feeds for any products housed within it for display in an association’s Higher Logic platform. This collaboration seeks to facilitate social learning around and about other education pieces by embedding the instructional learning in a place where social learning is already taking place (as opposed to the other way around). In this way, members can engage in social learning and access related e-learning products concurrently. It’s not just discussions, it’s not just expert instruction, it’s both and much more.